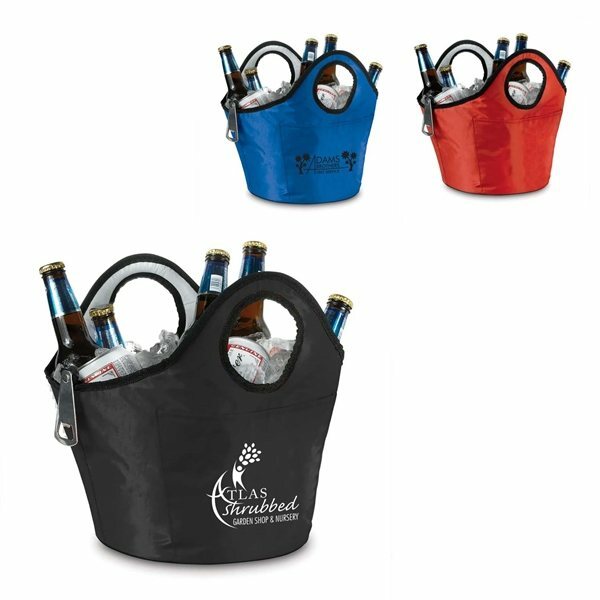 Beach Bum Portable Ice Bucket/Beverage Carrier. 70 denier polyester with large front pocket. 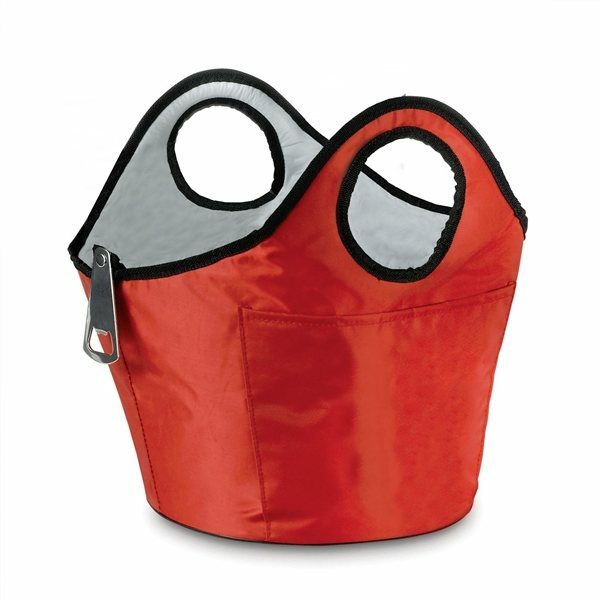 Fully insulated to keep drinks colder. I thought the logo would be a little larger. But I love it. Anypromo shipped rapidly without any problems. The students who received the product stated it was nice. This can be a terrific cost-effective giveaway. Comfortable and practical for the price, printing was very good and shows up well. The logo design looked great and the product arrived on time! Convenient size, easy to pack up, staff really likes them. the product is beautiful. The logo area was better than we had thought even with the proof.